Because all clients’ needs differ, we itemize our quotes to suit every client’s cleaning needs. We offer free, no obligation quotation. 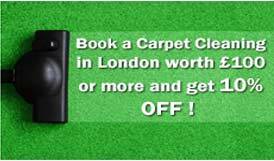 Our final price may vary and will depend on the London area, size of the property and the current cleaning condition of it. Our End Of Tenancy Cleaning Service includes Fridge/Freezer defrosting and cleaning and Professional oven cleaning. * For each additional bathroom – £20 will be added and for each additional toilet, £10 will be added. * For Additional Services like wall cleaning, balcony cleaning, and any other extra services – there will be additional charges. By charging a fixed End of Tenancy Cleaning price we offer a cleaning service where our customers always know what they will be paying in advance, therefore we eliminate the risk of half-completed jobs and overspent budgets. Please note: There is a requirement for a minimum of 4 hours per cleaning visit. You are responsible for providing all the cleaning materials and equipment needed for the cleaning. We can provide the cleaning equipment and materials and the price will be an extra £50. For regular domestic cleaning, you are expected to provide cleaning materials and equipment needed for the cleaning, as well as access to water and electricity for our cleaners. For regular domestic & Curtain cleaning London, we require a minimum of 3 hours for each visit. **Please, Note the minimum charge for all cleaning services in London is £60. Parking Charges are payable on top.